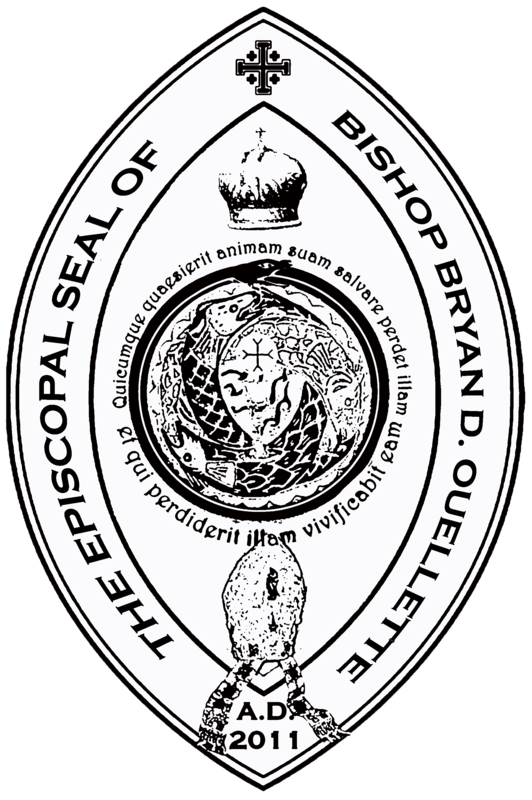 The 21 lines of Apostolic Succession | of Bishop Bryan D. Ouellette, Ph.D., SOSM in ecclesia Patriarch Nicholas III. All contents of this website Copyright Holy Nicholean Catholic Church ©2015 (Please note: if you do not see the menu below, please click the 'three horizontal bars' at the top left of this column to view the menu and scroll down). from the time of the Apostles to the present. We embrace the succession of the Apostles to the Bishops acknowledged by all as valid transmission of the Holy Spirit to perform and dispense the seven sacraments. Unlike many of our sister churches, including the Roman Catholic Church, the various Orthodox Churches and the Anglican Communion–each of which share a single (or few) line(s) of succession–we are privileged to inherit twenty separate lines of succession back to the traditional founders of our faith, Sts. Peter Andrew and others. Since the time of the Apostles, the Church catholic (universal) has existed. During the course of history, many branches of the One, Catholic, and Apostolic Church have evolved. One thing remains constant with all the branches, however, that each has maintained an unbroken line of succession from Christ and the Apostles to the present. The Apostles were the original Bishops of the Church, and their authority as episcoposhas been passed down to this day. There are many Rites in the One, Catholic, and Apostolic Church. In designating the unity of these many Rites, the word “catholic” is used to mean universal, and does not infer preference to any one particular tradition. Such traditions would include the Roman Rite, Anglican Rite, Celtic Rite, and Orthodox Rite, to suggest a few—in addition to the many that go unnamed. There have also been many Bishops who continued the lineage and served the teachings of Christ in a relatively unstructured way. On the pages of this site are the best records extent with respect to all of the lineages of which our Church is inheritor. It is important to remember that there are two types of succession. First, and most important, is the laying on of hands from one bishop to another. This is the information that has from time immemorial been the bonda fides of a true descendent of the Apostles. Each of our lines provide this information for as far back as we are able to determine; the work is continuing, not only among ourselves, but among scholars of the various rites, particular the Roman rite. We note that our bishop-to-bishop lines reach back in time no less farther than the Roman rite; in fact, they have the same source. Secondly, and of less importance, is the line of Patriarchs and Popes duly elected by validly consecrated bishops. This heritage is not apostolic succession per se, but it is an important part of our heritage, especially because in most cases, it is the only information we have that links our modern era bishops back to the time of the apostles. This information is also provided as best we have been able to divine. We hope that this information is a benefit to you as you begin to understand the unique Charism that is our Church and its various Rites. May the Co-Eternal Father, Son and Holy Ghost bless you in your studies.